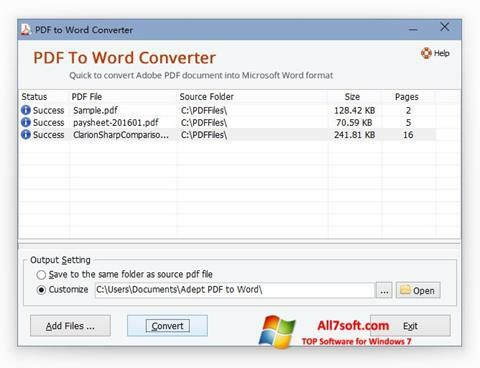 PDF to Word Converter for Windows 7 - application for converting documents. The converter will save the raster image to a separate file, does not change the formatting settings, does not change the tables, table data, fixes the location of text objects. This utility can be used to work with encrypted and copy-protected files, it is capable of performing batch conversion. The application has an accessible interface, takes up little memory. You can free download PDF to Word Converter official latest version for Windows 7 in English.